“It doesn’t have to be perfect to be beautiful.” This quote caught my eye at a friend’s house recently and continues to echo through my mind. You see, my natural bent is to seek perfection, or at least the appearance of perfection. (For those of you familiar with the enneagram, I’m actually a 3, not a 1, so I only care about being perfect if it makes me more outstanding, lol!) This standard was unattainable even as a single woman with a relatively uncomplicated life. It’s become impossible and even tyrannical as a new wife and mother of five. Everything from the way our house looks to the way my chocolate chip cookies turn out (or don’t!) to the more important things like how my kids demonstrate Christ-like character (and, ouch, how I demonstrate Christ-like character! ), I feel this internal pressure to do more, do it better, do it faster. This is compounded by the immense transition I’ve gone through in the last six months. I could go on, but, suffice it to say, my life has changed dramatically since the day I said, “I do,” six months ago. So, some days, I feel claustrophobic. Burdened by all the needs and expectations (many of which I place on myself) and responsibilities and desires, I find myself weighed down and weary. The other morning (a break from school as the snow closed school for 5 days…so not Colorado-style!) I found myself buried under 3 little people. I was exhausted and just wanted a few more precious minutes of sleep. Also my 2 boys were fighting over the covers with me pinned in the middle. At the same time Michael was telling me about our complicated afternoon/evening schedule. The older boys were in the living room. It was fun and crazy and typical, but it was also a metaphor for how I often feel. 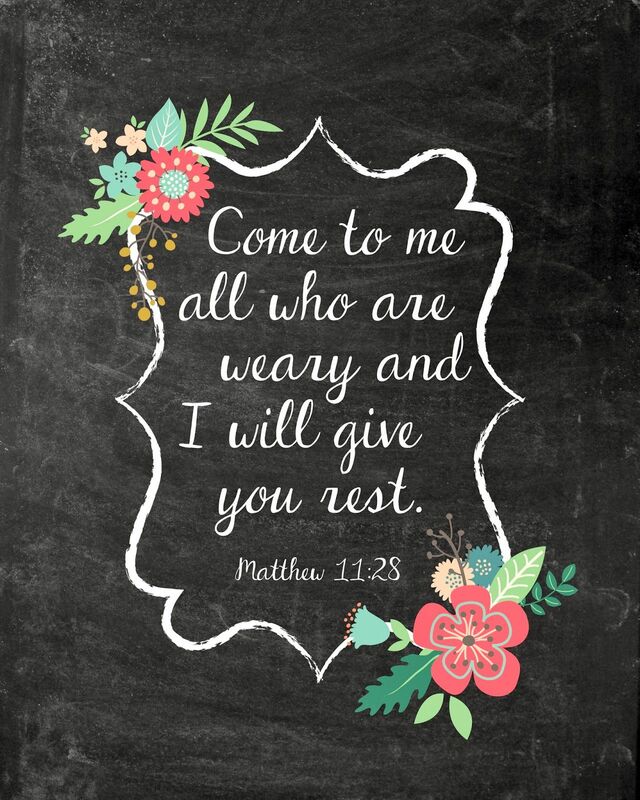 Not enough of me to go around, smothered by kids, trying to connect with Michael/stay on top of our schedule, wanting more opportunity to connect with our older kids and feeling so stinkin’ tired and weak and not strong enough to meet the day ahead. And the daily stuff is just on the surface…under the dishes and school projects (I now totally understand why parents dread science fair!) are the deeper worries…do they know I love them? Are they missing their mom right now? Will I ever be the mom they need? Am I modeling a life surrendered to Christ? Will they grow up to love and serve the Lord? Are we bonding as a family? My heart is stirred by these words. Perhaps this burden is not mine to carry. Perhaps it is pride and idolatry to try and bear it at all. Perhaps He never expected us/me to be the perfect _________. Perhaps His perfection is enough…more than enough. I look at Salem’s drawings…mostly rainbows and squiggles with her name written with occasionally backward letters…undeniable beautiful. And the gingerbread train we constructed on one of those l-o-n-g snow days last week…certainly not perfect, but oh so beautiful! And me—masking my brokenness, still striving for an A+, buried under covers and children and self-inflicted expectations—- do You see me as beautiful too? I am deeply loved, unconditionally accepted. The favor of God rests upon me. Jesus became sin for me, bore the weight of the cross, and paid the debt I owed to a holy God. And somehow, I died that day too. The veil of “earn-your-way-or-you-can’t-come-close” was torn from top to bottom. And when He rose from the dead, I rose with Him. May I live and dwell in this resurrection life. Learning to inhale His grace and let it pour from my lips. Discarding the report-card lifestyle and embracing undeserved freedom to just BE and not always DO. 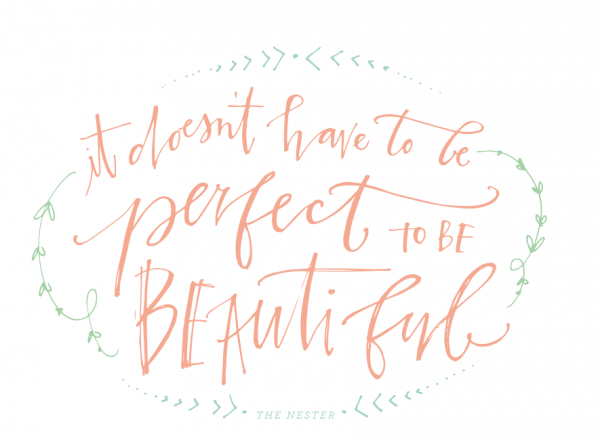 It doesn’t have to be perfect to be beautiful. It is Your beauty, Lord, that captures my heart and draws me out of my performance prison. And I see it…beauty everywhere. Naomi is a new mom... of five! She recently married an amazing man with five kids who lost his first wife to cancer. Together they serve with OMF (Overseas Missionary Fellowship) as mobilizers, helping inspire and prepare new missionaries to share Christ in East Asia. Naomi has traveled extensively as a short-term missionary to China, Japan, Cambodia, Nepal, Uganda... to name a few. An elementary teacher for thirteen years, her heart is to raise up the next generation to know and love Jesus. She loves old books, mountains, travel, strong coffee and spending time with her new husband and kiddos!